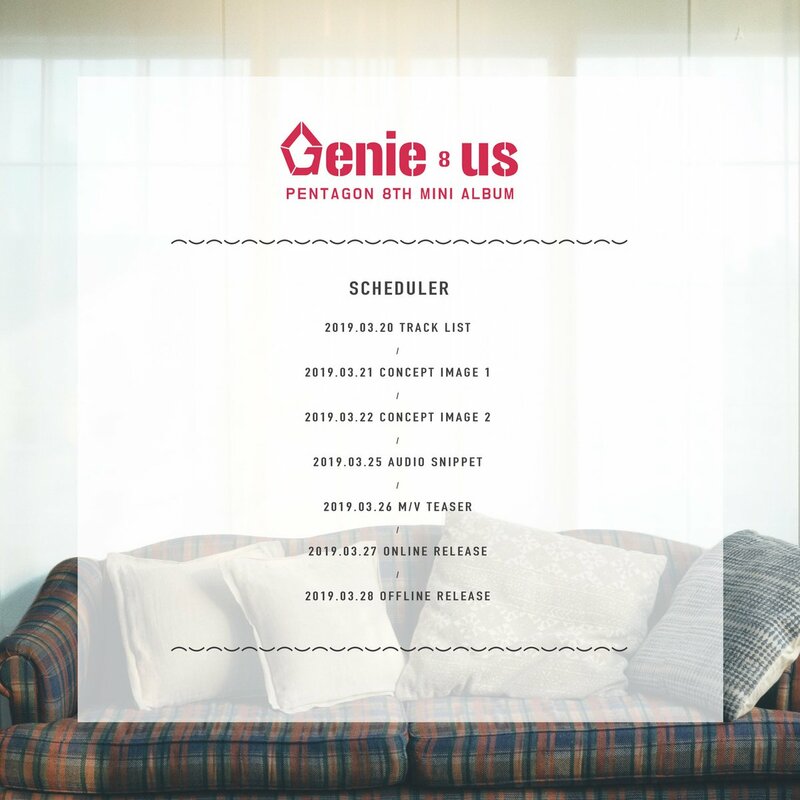 Pentagon will release their eighth mini album ‘Genie:us‘! The group announced their comeback earlier this week and will be coming back on March 27th. The group will promote with eight members. Check out the release schedule and track list below. The mini album contains a total of six songs including the bonus track ‘Round 1′. 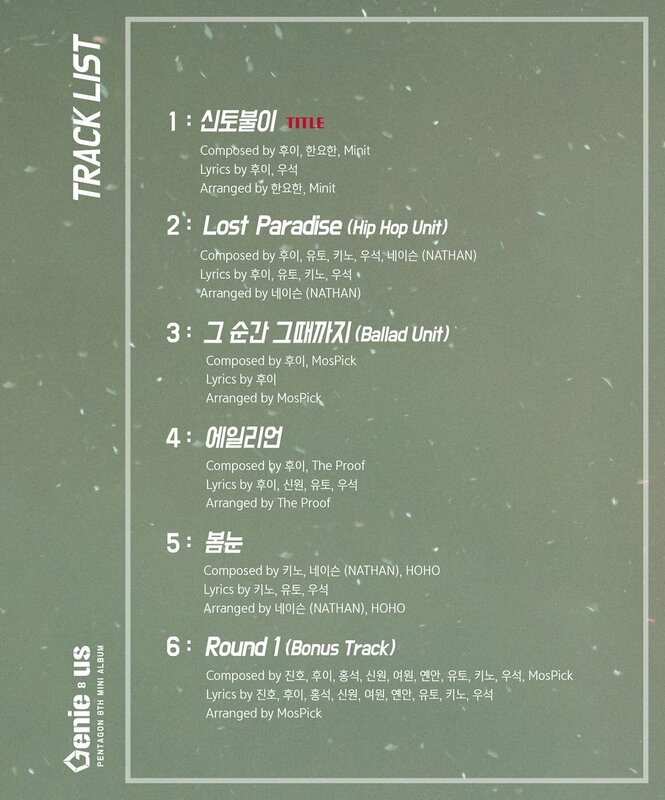 The title track is ‘신토불이’ and the group have split into Hip Hop Unit and Ballad Unit for ‘Lost Paradise‘ and ‘그 순간그때까지’. The Pentagon members have been heavily involved in the songs on the album. Are you looking forward to Pentagon‘s comeback? Tell us in the comments below!